Cabo San Lucas and San Jose del Cabo are clustered at the southern tip of the narrow Baja California peninsula, with La Paz further north. 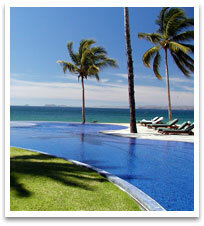 Many major carriers fly directly into the airport located next to San Jose del Cabo. 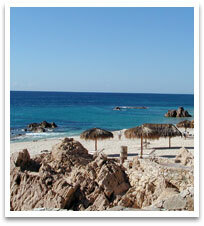 The 20 mile coastline south to Cabo San Lucas includes some of Mexico’s finest beaches. There are dramatic cliffs, scenic bays, picturesque golf courses, world class sports fishing, and one of a kind hotels. An extraordinary sight occurs every winter from December to March as thousands of gray whales winter in the Sea of Cortez and Pacific Ocean, clearly visible from shore. The remote feeling here inspires a very laid-back vacation, but there are plenty of daytime and nighttime activities for active travelers. Balconies overlook golden-sand beaches and sparkling Banderas Bay in Puerto Vallarta. Old town PV is still simply charming. Travelers have discovered Nuevo Vallarta, Bucerias and Sayulita, north of Puerto Vallarta and new hotels and resorts seem to spring up almost overnight. Mazatlan is located 500 miles north, a colonial-feeling port city and still a popular beach resort and a favorite of deep-sea anglers. 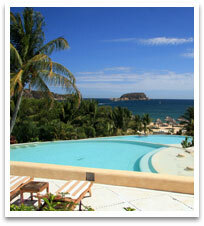 The little fishing village of Zihuatanejo is still charming, but not so little any longer. It is a mellow beach town where sunset is the main event and the fish tacos are excellent. Ixtapa is just 10 minutes up the highway and is a haven for golfers, gourmets, shoppers and anyone craving a luxurious spa or dancing all night. On the sunny Pacific Coast south of Puerto Vallarta, Manzanillo and Costa Alegre are perfect for the weary winter traveler. The resorts along this stretch of sand are very posh, the beaches are quite secluded, and entertainment is in the form of golf, swimming and fishing. Nights are quiet ~ plenty of time to scrutinize the outstanding sunset with a margarita in hand. Mexico’s original jet-set getaway ~ think Richard Burton and Elizabeth Taylor ~ is a world renowned destination still perfect for romance. Acapulco is built around a dazzling bay surrounded by steep cliffs, and the city has outstanding nightlife with live music and entertainment every night until dawn. 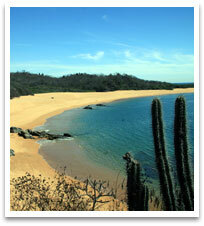 Huatulco, a series of scenic bays, is the most southerly resort on Mexico’s Pacific side. It was targeted by Fonatur, the Mexican development agency, to become the country’s next major resort area. Development is taking longer than planned which means you are still able to enjoy a fairly quiet vacation with all of the modern conveniences. Each of these destinations can be a trip in itself. Mexico City captures the essence of the country and the towns that surround the capital city have something for everyone. Guadalajara specializes in its tequila making and perfect handicrafts, Oaxaca is very spiritual, San Miguel is every bit as charming as its name, and Zacatecas is a hillside hangout. There is too much here to describe .. all of these towns comprise the real heart of Mexico. If you like ruins and history, this is the area we recommend. The city of Merida is timeless and the Mayan ruins inland on the Yucatan Peninsula are close by. The Gulf of Mexico has memorable beaches (and pink flamingos), nature reserves and small fishing villages where time seems to stand still. The ruins at Chichen Itza and the pyramids at Uxmal are a feast for anyone with a sense of exploration. Cancun, another planned resort, is one of Mexico’s most popular playgrounds. Tourists have now moved south along the tranquil Caribbean Sea to the town of Playa del Carmen and the newly developed Riviera Maya. Tropical and beach activities are the signature occupations here. There are additional Mayan ruins along this part of the coast and inland, with caves and nature preserves further south. This quick overview of Mexico cannot compare to an in-depth conversation with one of our Mexico specialists. 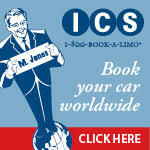 We have traveled to Mexico numerous times and we know which companies to work with to ensure your best vacation ever.